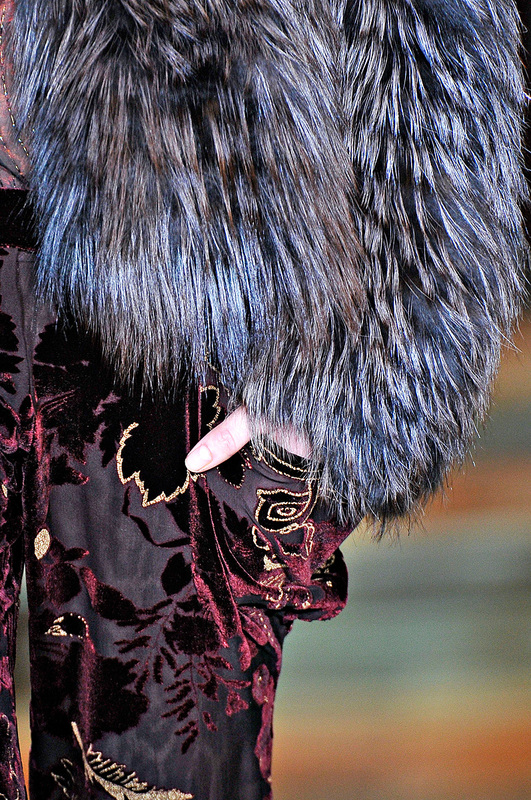 Floorlength burnout-velvet dresses, some super-elaborate feathered jackets, fur vests, and a slew of traily Lurex scarves. 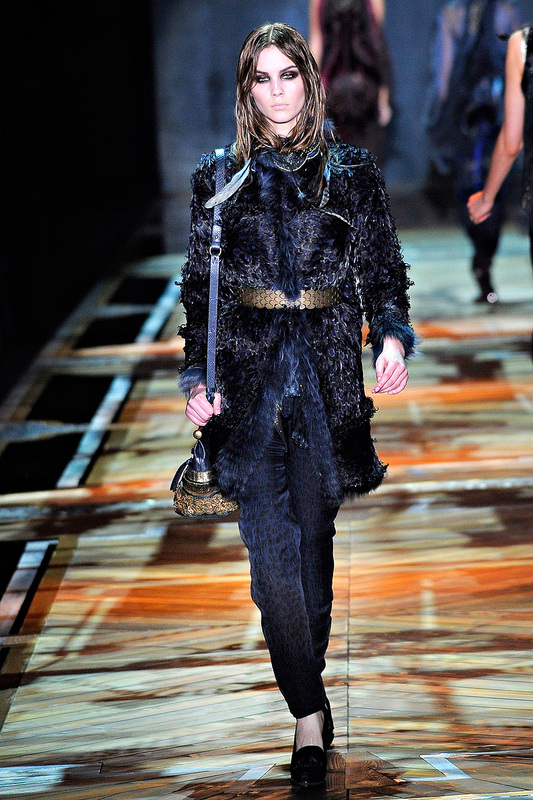 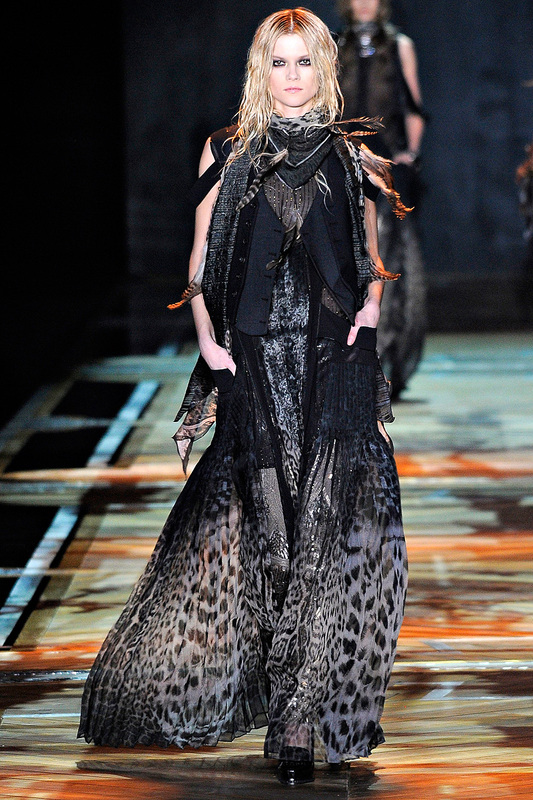 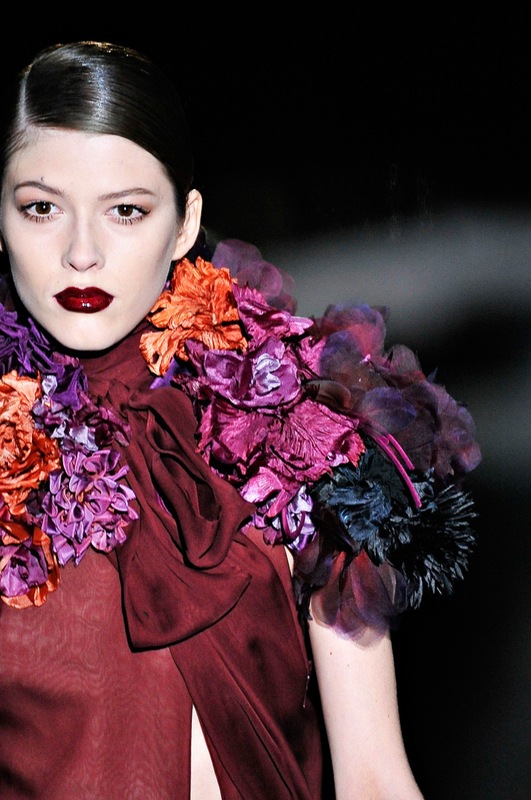 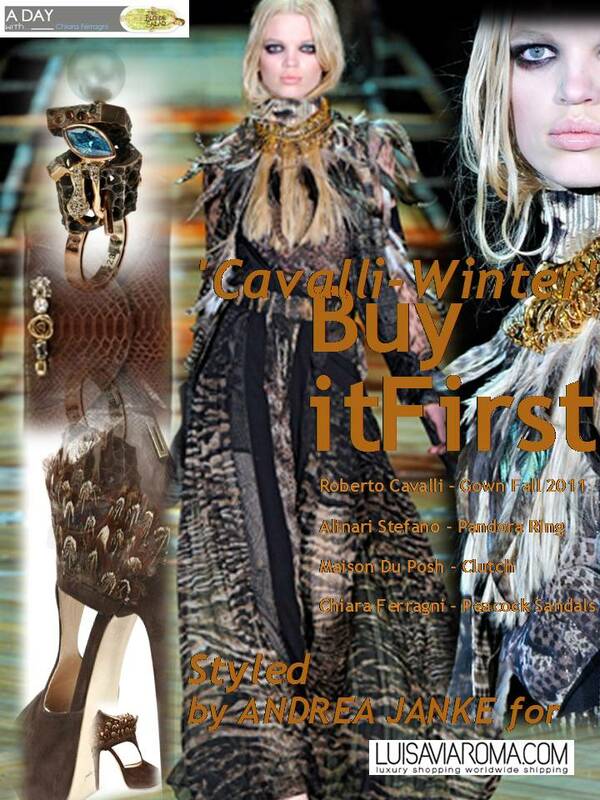 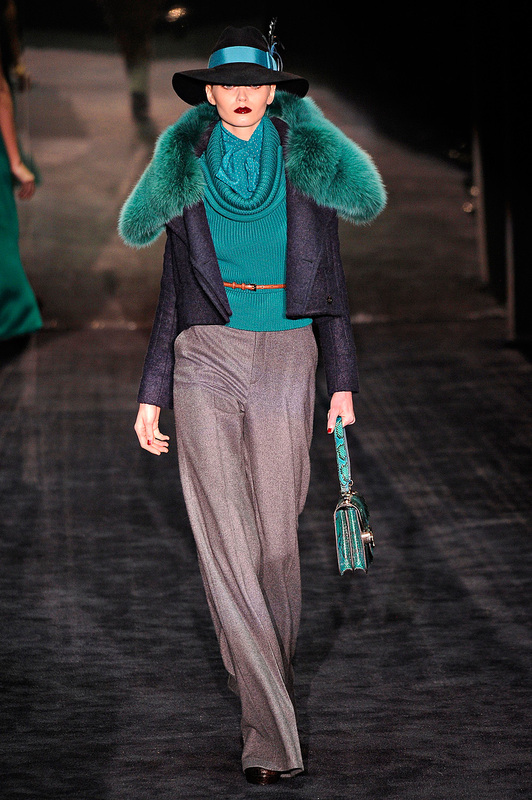 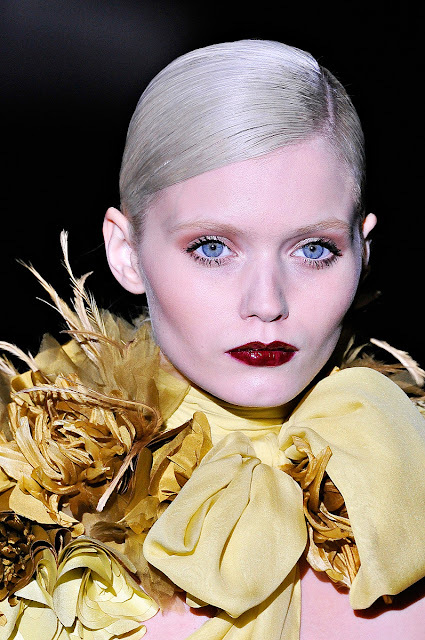 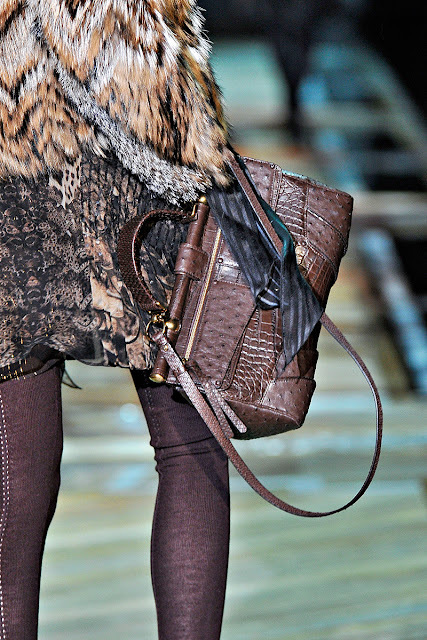 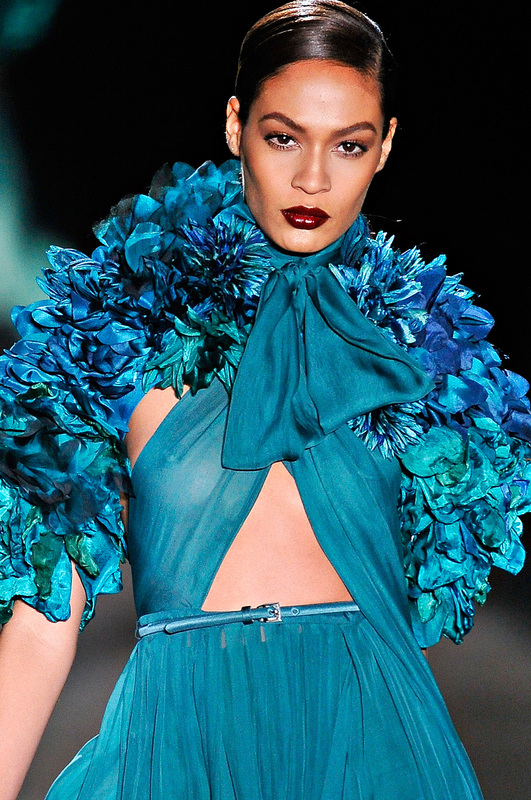 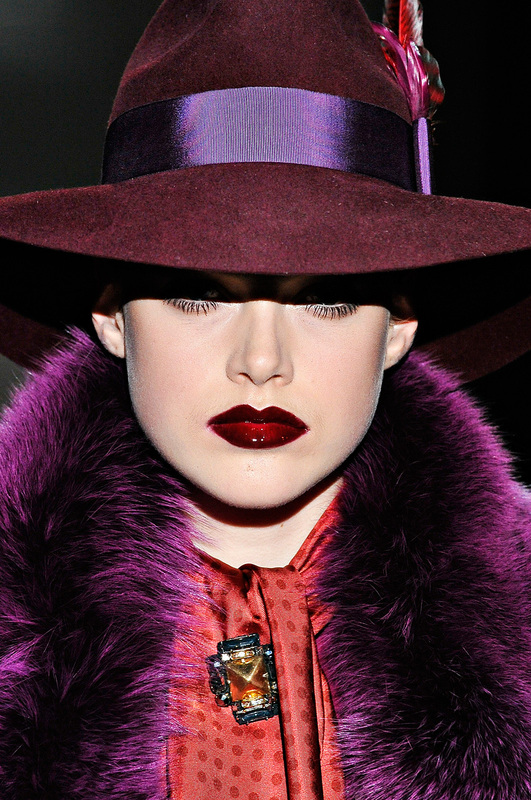 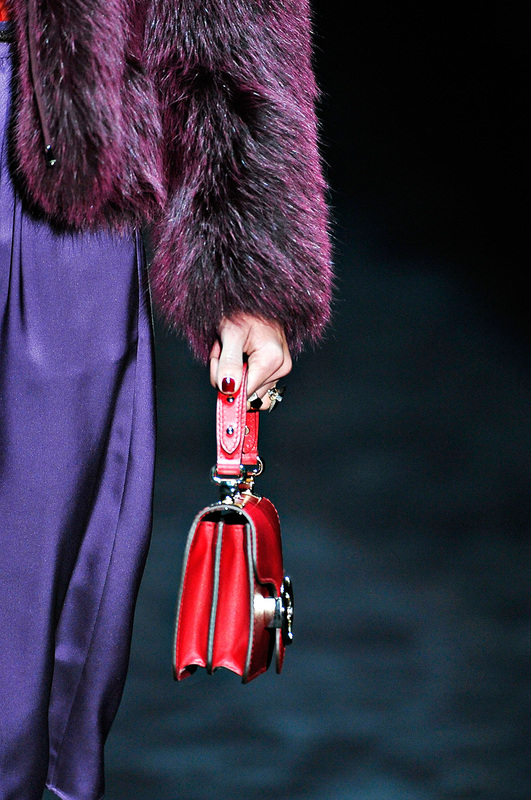 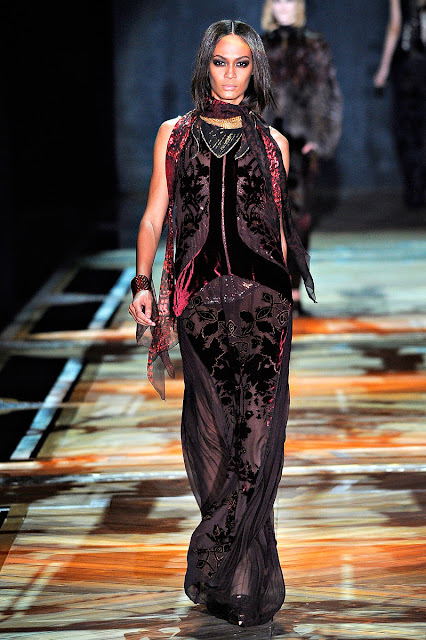 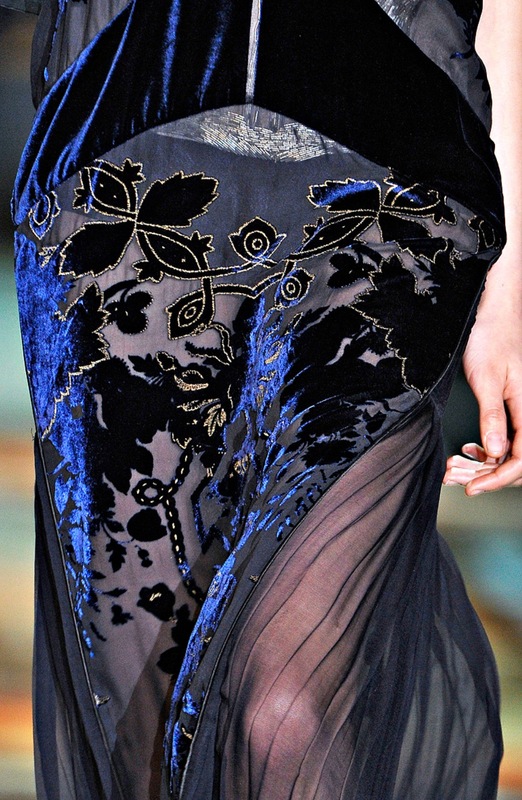 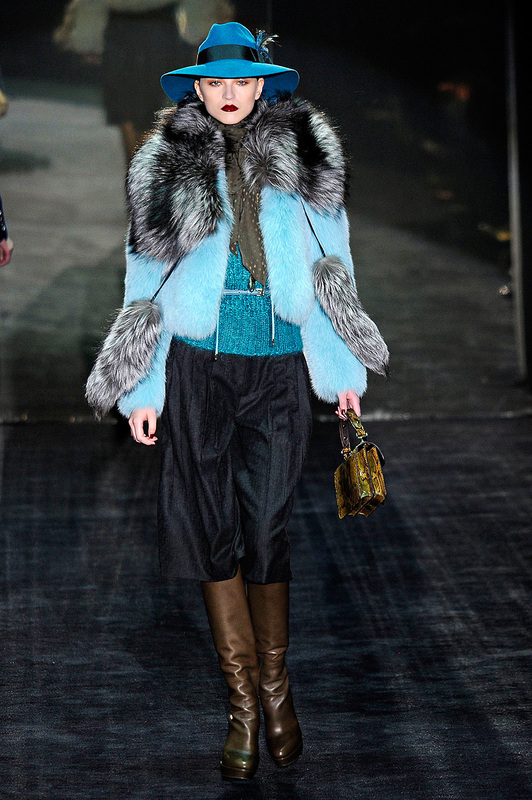 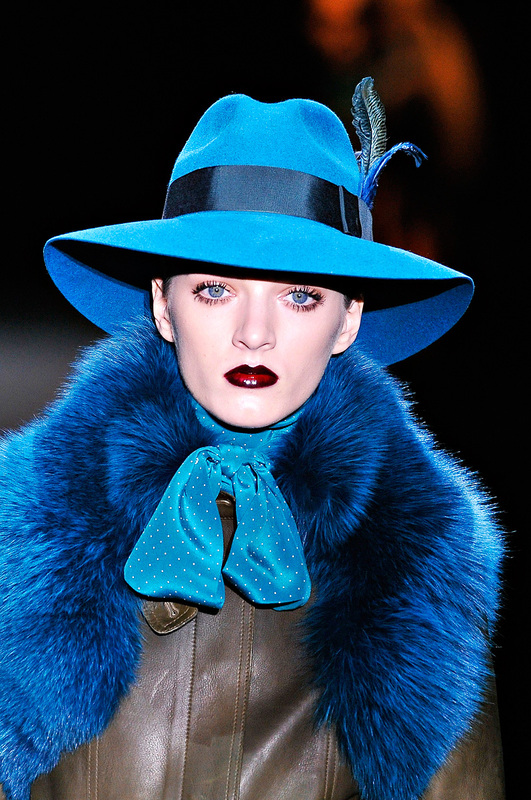 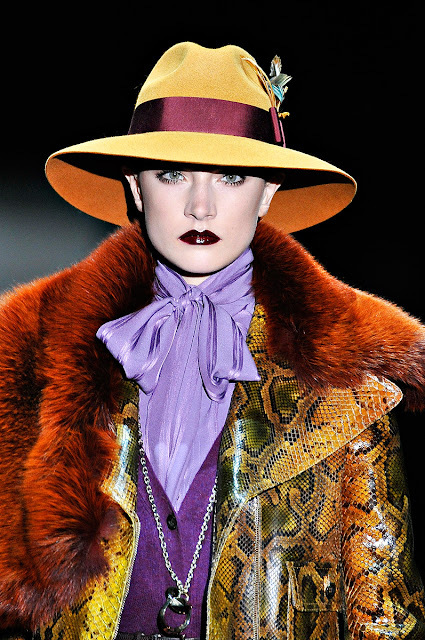 Cavalli moved the looks on through a well-chosen palette of burgundy, petrol blue, and finally, stormy gray. 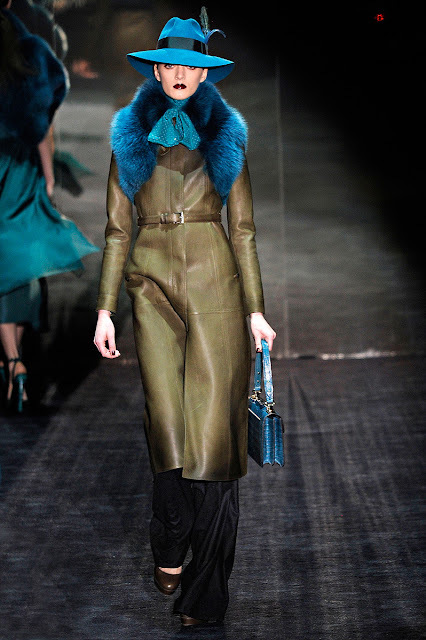 For the past couple of seasons, Miuccia Prada rendered her collection down to a single message: In this case, a slightly sixties, vaguely Courreges-like silhouette. 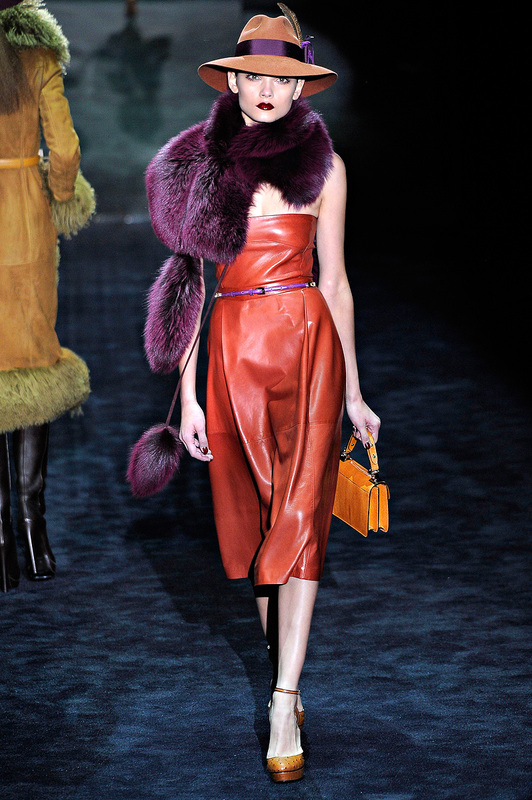 The length hits were fashion hasn't gone for a long time: four inches abouve the knee. 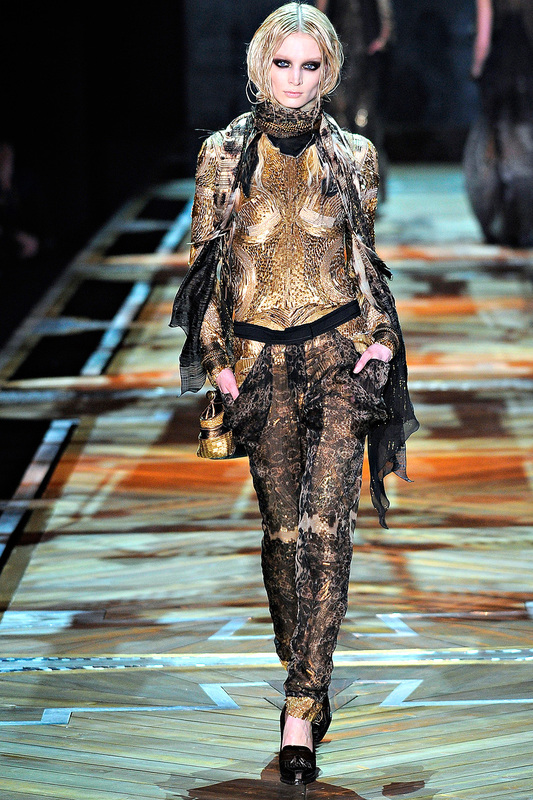 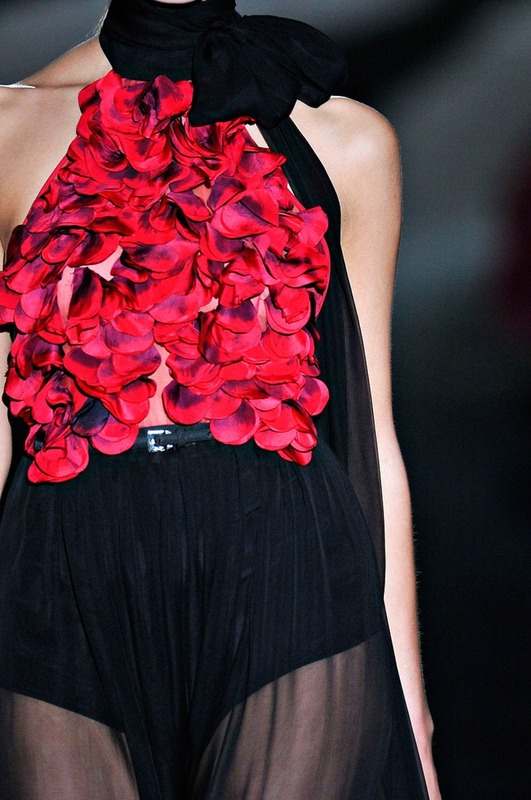 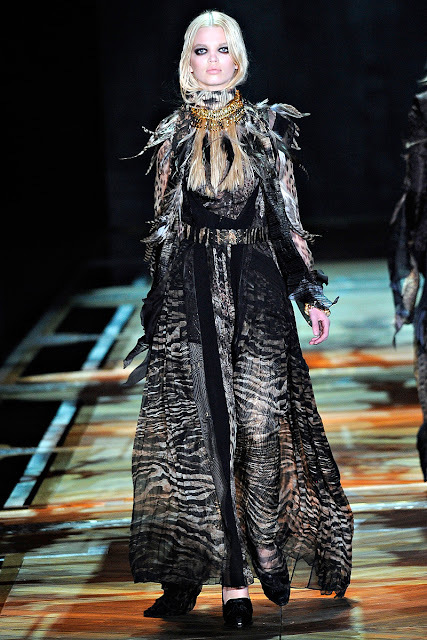 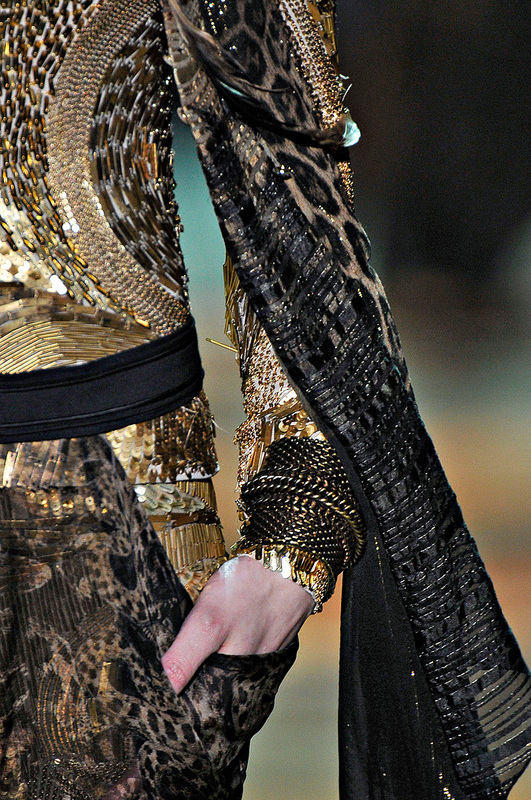 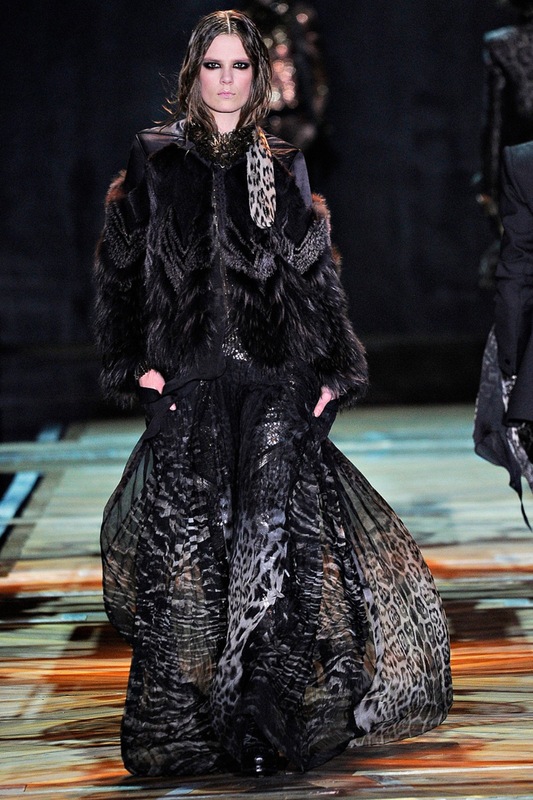 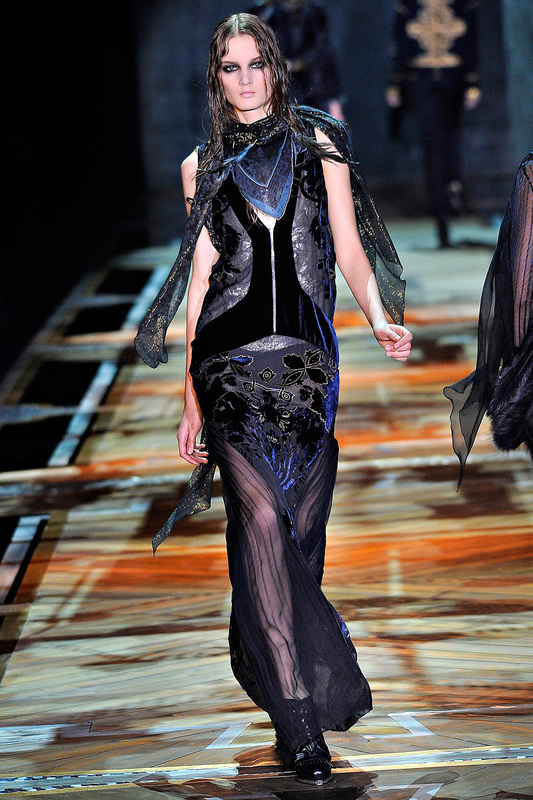 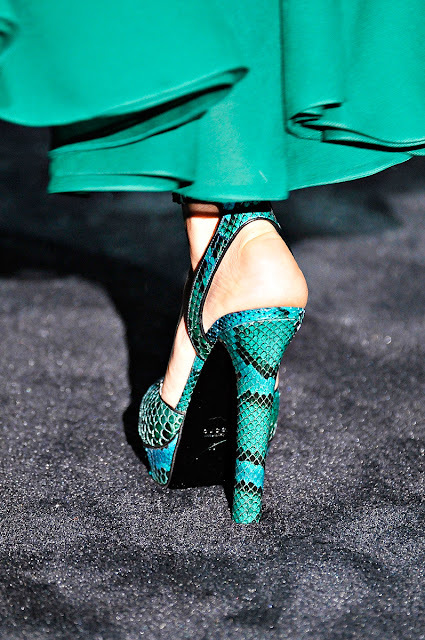 For more GUCCI-styles inspirations click here 'Ecstatic Extravagance by Gucci'. Special thanks to Chiara Ferragni for this wonderful inspiration! 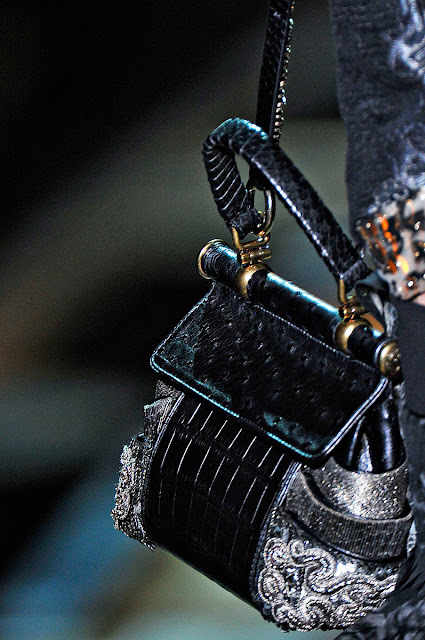 "Welcome to hippie chic done Gucci-style. 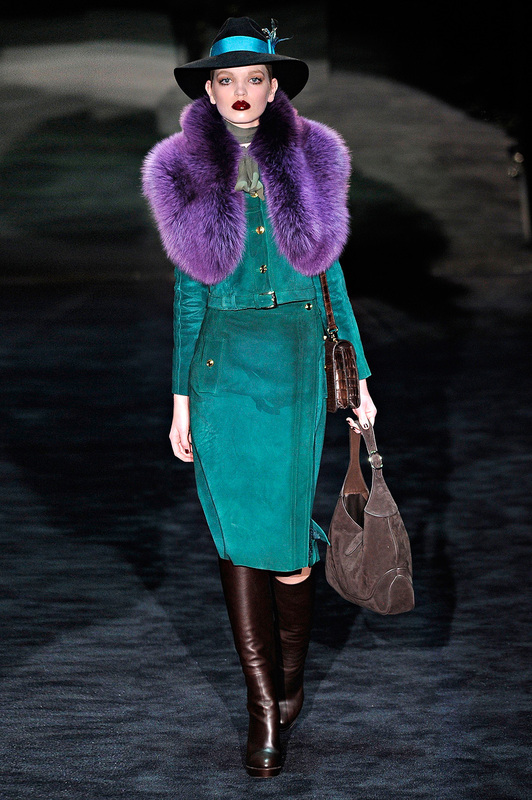 Of course, we've been here before - the seventies are nothing if not en evergreen theme for the house. 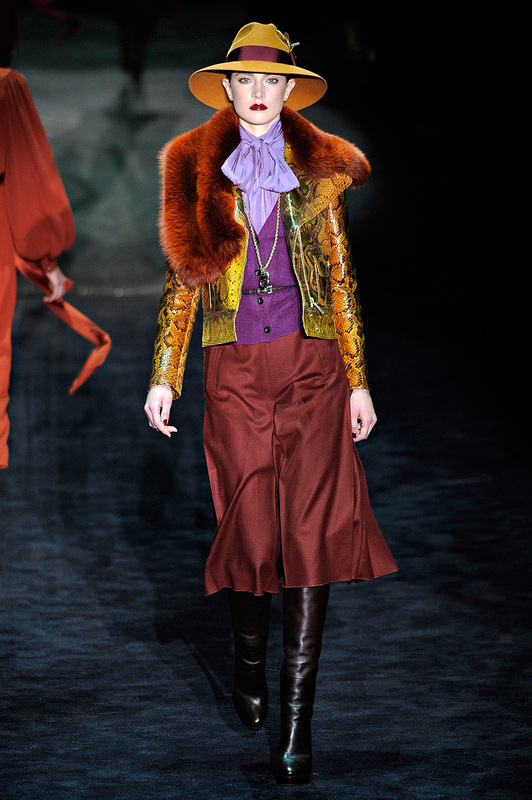 But there is a remarkable staying power to the allure of a flared trouser or silk blouse with a deep, deep, deep V-neck. 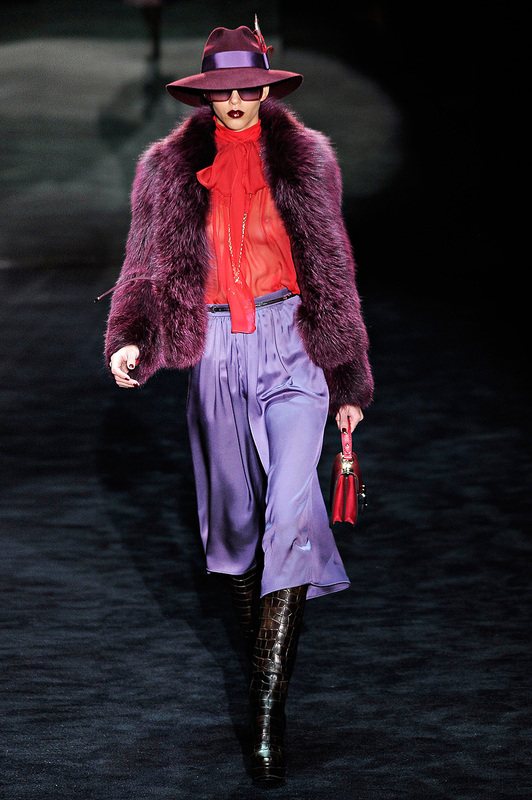 And there where plenty in this sensual collection: fluid trousers in white, green, and violet; blow blouses in teal, magenta, and blood orange. 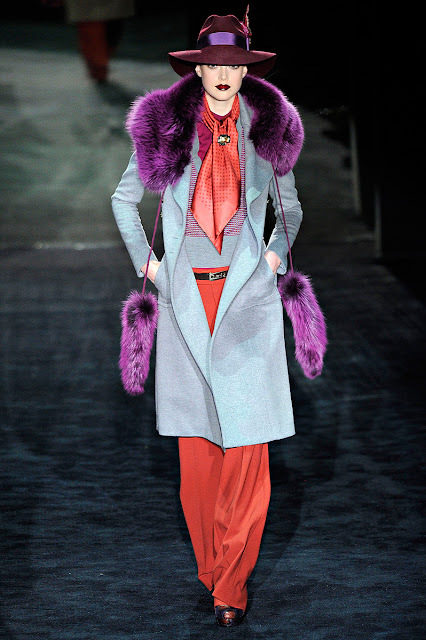 Almost always, everything was topped off with a brightly colored fur, or many brigthly colored furs. 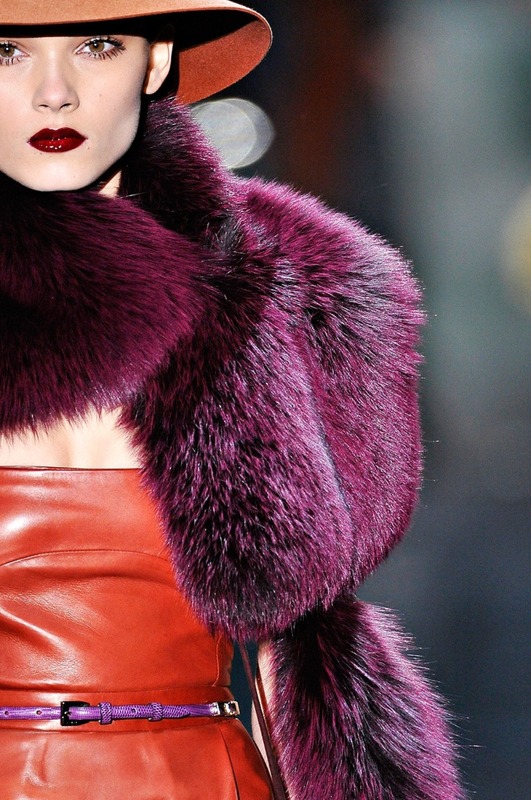 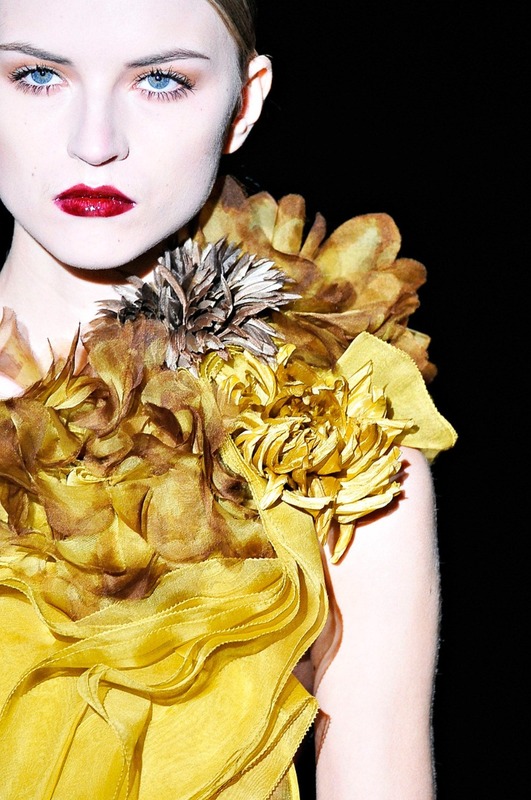 There were fur jackets, fur boleros, fur collars, and fur vests, again in every shade imaginable..."